Warren Haynes is the national director of ADVANCE, a program of Gateway Seminary. Warren leads an expansive network of leadership centers that focus on empowering Christians to reach for their full potential. He has a Doctor of Ministry degree and serves as a faculty member for Gateway Seminary. 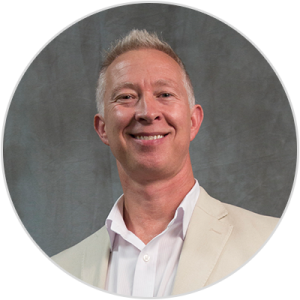 Warren’s passion is to inspire people to expand their leadership capacity, make disciples, and sharpen their communication skills. He is the author of Discipleship Uncomplicated (Carpenter’s Son Publishing 2016), Release Compassion (48HrBooks, 2011) and The Bible Bookmark (Copyright, 2004). He speaks to youth, college students, churches, pastors, and state and national Christian leaders. He brings a fun and refreshing approach to interacting and influencing people. His uncomplicated disciple-making approaches work in small rural towns, bustling metropolitan cities and international settings. Warren is a husband, father, and follower of Jesus Christ.